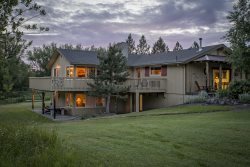 Fireplace Rentals | Wallowa Lake Vacation Rentals | Cabins in woods with fireplaces | Romantic get a ways! These cabins have either a fireplace (gas or wood), woodstove, or an open fireplace (gas or wood). Please refer to their individual pages for more information on the amenity. Beautiful 3 story log home with a view of Wallowa Lake. A vintage cabin within walking distance to the resort activities at Wallowa Lake!